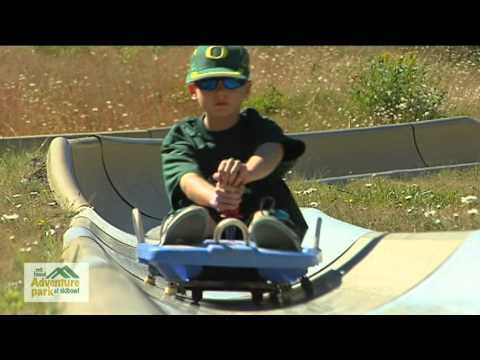 The Pacific Northwest’s only ½ Mile Dual Alpine Slide, this major attraction sends you flying down a half mile track of twists and turns through mountain meadows before dropping you back off in the base area of Skibowl West. Two side-by-side tracks let you ride alongside family and friends as you take banked turns, S-curves and hairpin thrills at the speed of your choice. Start with a leisurely trip up the mountain on the Scenic Sky Chairs, and then prepare for a roller coaster ride down the mountain. 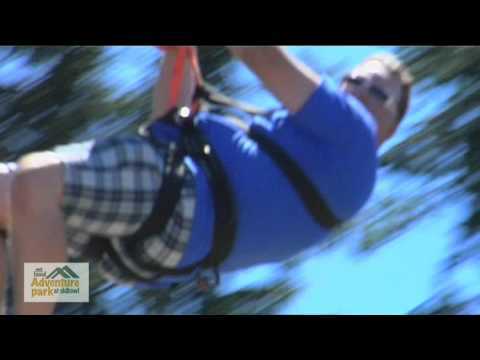 You’ll drop 350 feet over the half mile ride with average speeds around 20 MPH as you wind your way down the track. Speeds of up to 37 MPH have been reached but with the brakes at your fingertips, you’re always in control. *Tickets for children under 48” and at least 3 yrs old are $6.00 per ride with a paid adult ticket. Adults are 18 years old or older. No bumping, racing or stopping on the track. No hand-held cameras or video while sliding.